Vorarlberg… Reasons to be cheerful. The losses we have endured over the past ten years since the Banking Crash of 2008 are not just economic. In the political arena in the UK, we’ve crucially lost many social conversations. These centred on concepts and possibilities in community action, High Street revival, new ways of providing childcare, novel transport plans, different banking models, reconnecting the city to countryside and greening them, safeguarding children’s ability to have fun and become social creatures at the same time. That’s a random selection – most people will have a memory or two about something in the public sphere which was mooted, experimented with, offered up as a way into a better future, not so long ago. All gone. Now it’s crisis management. My colleague David Boyle wrote recently about the grim experience of using denuded public services that have suffered under outsourcing. One hidden cost here is the morale of the workforce. The interaction with the public for many working in public services consists of fielding fury and frustration which would more rightly be directed at the managements of franchise operators or the government which fails properly to hold them to account. All the staff on the ground should have to manage is requests for help or information, or shared ideas for a still better service. We have to believe that things will not always be like this. And crucially, we have to know that things do not have to be like this. It may be that, for a while, we have to look abroad for the signposts into a more constructive future. The end of summer means some of us have experienced realistic train fares (Italy), preserved, lived-in historic towns (almost anywhere else), family businesses doing fine, enjoyed retained forests, and nature untamed(Romania). One of the problems the UK has suffered from for centuries is the increasing pressure to centralise power. From both right and left the belief in a central State has led to powerlessness locally and regionally and to fatalist politics. If people can’t make change happen in the employment opportunities where they live, can’t stop their High Streets being decimated, have to see their children being de-skilled before they even become skilled, can’t stop their local pubs being sold or their buses being stopped or homes becoming unaffordable – then they are going to kick out where they can. We can blame the EU (Brexit) or neoliberalism or late 21st Century capitalism – and in different ways we’d be right. But it’s crucial to look out for examples of something else – the fightback. Not the closed train serivce, but the open mind and the imaginative heart. Also there are the traditions that have been developed to protect and nourish communities where no one is treated just as a financial opportunity. Which is why we’ll be reporting on examples of societies that feel as if they work and operate under the human values that function more efficiently than a financial carve-up. 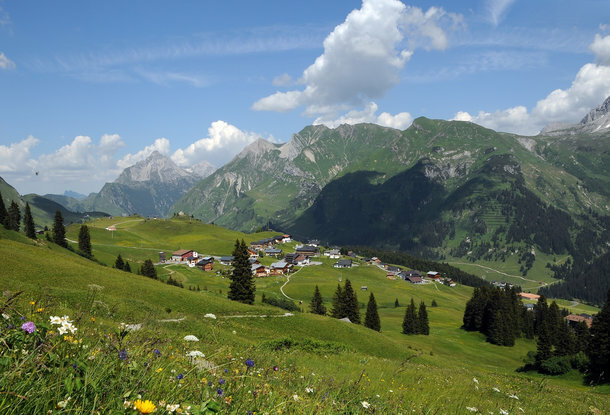 Next we’ll look at the wonderful dynamism of the Vorarlberg, once Austria’s poorest area, now a centre for localism, green energy, pharmaceuticals and horned cows roaming the Alps. With bells on. Copyright © 2019 New Weather Institute. All rights reserved.